BoatUS also advises boaters who may have received mail that they believe is misleading or deceptive may contact the US Postal Inspection Service at 1-877-876-2455 or through its website https://postalinspectors.uspis.gov. Celebrating 50 years, BoatUS is the nation’s largest organization of recreational boaters with more than a half-million members. We are the boat owners’ voice on Capitol Hill and fight for their rights. We help ensure a roadside trailer breakdown doesn’t end a boating or fishing trip before it begins. On the water, TowBoatUS brings boaters safely back to the launch ramp or dock when their boat won’t, 24/7. The BoatUS Marine Insurance Program gives boat owners the specialized coverage and superior service they need. 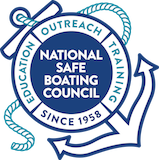 We help keep boaters safe and our waters clean with assistance from the nonprofit BoatUS Foundation for Boating Safety and Clean Water. Visit BoatUS.com.